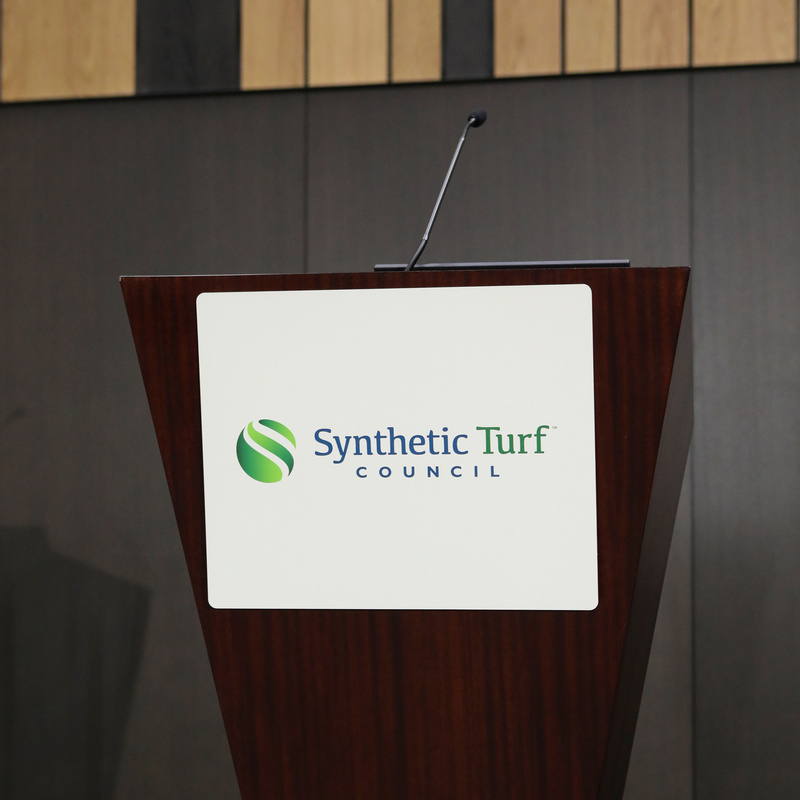 The Synthetic Turf Council invites all persons interested in sharing an innovative synthetic turf research project, best practice or hot topic to submit a proposal to be considered for presentation during the 2019 STC Annual Membership Meeting on October 21-23, 2019 in San Antonio, Texas, USA. Deadline to submit presentation proposals is May 31, 2019. Presentation proposals must include a description that is a minimum of 150 words and a maximum of 300 words; it must also include three takeaways and an idea of how you will engage the audience. Proposals should be nonproprietary and not company- or brand-specific. Research-based presenters may submit a paper to be included in conference proceedings. Accepted presenters are required to submit their PowerPoint presentations, papers (if applicable) and any relevant materials (handouts, etc.) by September 30, 2019. Accepted presenters are required to register for the STC Annual Membership Meeting. Any spouses/guests will need to register and pay the applicable registration fee. Accepted presenters are responsible for all travel and hotel costs. All submitters will be notified of acceptance, regret or waitlist status by May 7. Accepted presenters will also be notified regarding which presentation format they have been selected to give. As an approved provider of education with the Landscape Architecture Continuing Education System (LA CES) and The American Institute of Architects (AIA), the STC qualifies the educational content of its Membership Meetings so licensed landscape architects may earn continuing education credits. Presentations must consist of learning experiences that enhance and expand the skills, knowledge, and abilities of practicing landscape architects to remain current and render competent professional service to clients and the public. Presentations are planned in response to the learning needs of target audiences and include clear and concise written statements of learning objectives/outcomes. Speakers are required to include a minimum of three learning objectives/outcomes for each course. Learn how to determine the major functions and components of a synthetic turf system. Identify the factors that influence safety and performance. Learn how to utilize an integrated design process in your project for maximum benefit. Presentations must use qualified instructional personnel in development and delivery; include content and instructional methods that are appropriate for the intended learning objectives/outcomes; and use materials that do not contain proprietary information, are educational and generic in nature, and serve to reinforce the learning objectives. Speakers should have experience, knowledge, and credentials relevant to the course they are teaching. The speaker should not act as a salesperson to promote any products or services. All course content and materials must be educational, and may not be commercial. The promotion or discussion of proprietary information is strictly forbidden during the course. All presenters are required to submit their final presentation to STC by no later than 4 weeks in advance of the conference date. STC Program Committee is seeking valuable educational sessions and are always critical of presenters or sessions that are self-promotional. STC policy requires that presenters do not use a conference session for commercial sales pitches, self-promotion or unwarranted criticism of a competitor. Presentations should only advance the educational process; sales pitches do not and are therefore not acceptable. Speakers are not permitted to distribute company promotional literature, brochures or sales materials in any form to attendees during their session. --Learn how to determine the major functions and components of a synthetic turf system. --Identify the factors that influence safety and performance. --Learn how to utilize an integrated design process in your project for maximum benefit. Panel Presentation InformationNote: If this will be a panel presentation (60- or 90-minute only), please provide contact information for all panelists. Please do not list individuals as co-presenters unless you have a definite commitment that they will appear at the meeting with you on any of the conference days. Responsibility Agreement *I understand and will comply with the STC's responsibility and non-commercial policy.